The city of Český Krumlov is a true pearl on the Vltava River and one of the wonders of our country. Ancient houses, picturesque nooks and monumentality of one of the most beautiful Czech castles attract the tourists from the whole world. 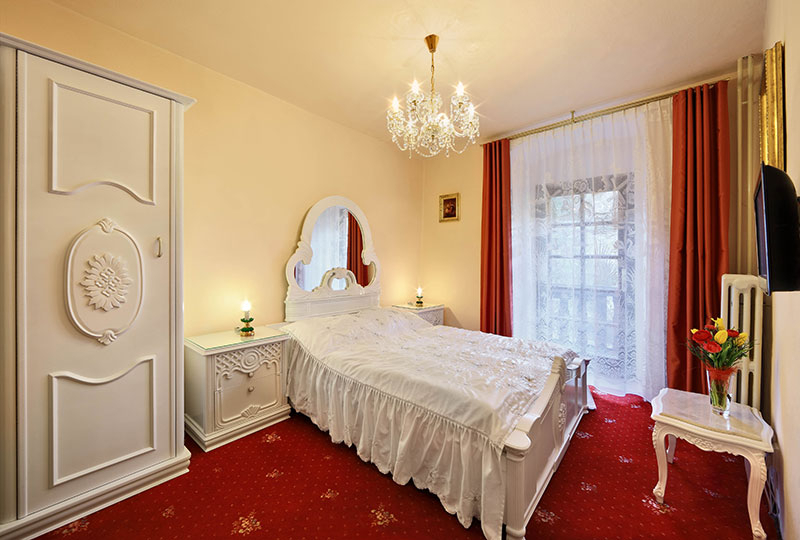 If you decide to stay for some days in Krumlov, accept our warm welcome to our pension „Hotel LEYLARIA“. 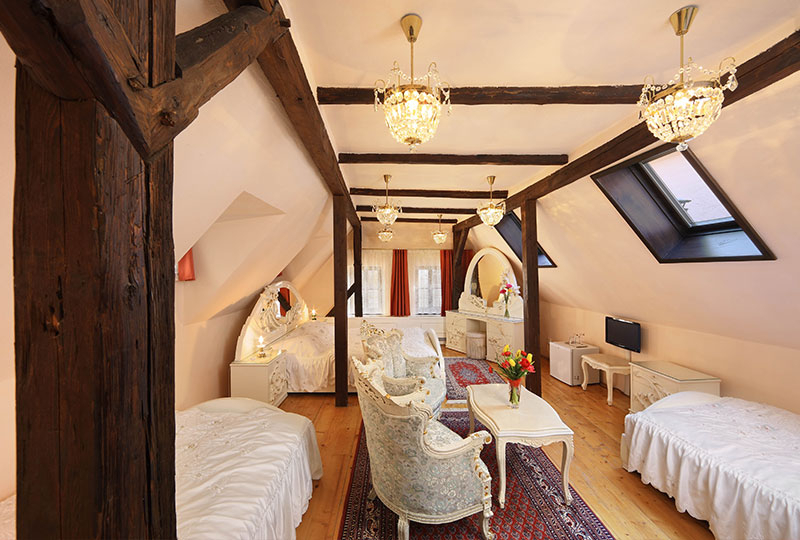 Located in the very heart of the city, inside its world-famous historic center, it can offer you accommodation in luxuriously furnished rooms, which refer to the époque of Louis XIV, the famous „Sun King“. Our rooms offer all the necessary comfort, such as fridge, phone, LCD TV or luxuriously furnished bathroom. Our guests can use services of our stylish restaurant with a terrace on Vltava bank, which offers breathtaking views to the Český Krumlov castles in summer. Your visit at the LEYLARIA pension in the Dlouhá Street 96 will be a true honor for all of us. 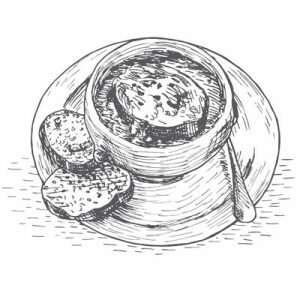 Luxurious restaurant located on the ground floor has 46 to 54 seats, and its kitchen offers a wide range of dishes from both Czech and Mediterranean cuisine, as well as alcoholic and non-alcoholic beverages. A varied wine list is a necessary commonplace. Guests of hotel LEYLARIA can be accommodated in five luxurious rooms furnished by the historic furniture in the style of Louis XIV. All rooms are equipped by the LCD TV, radio with MP3 player and USB port, or fridge and phone. Each room has its own bathroom. 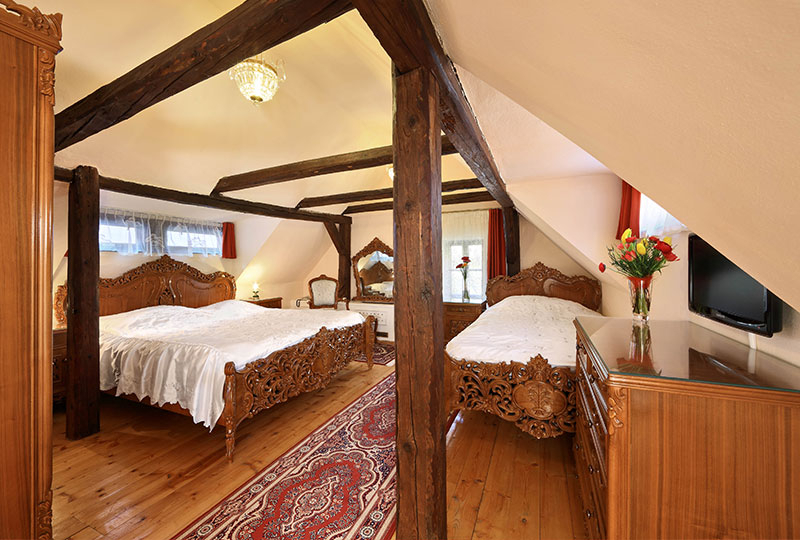 The pension is located on the bank of Vltava River in a very quiet part of Český Krumlov. 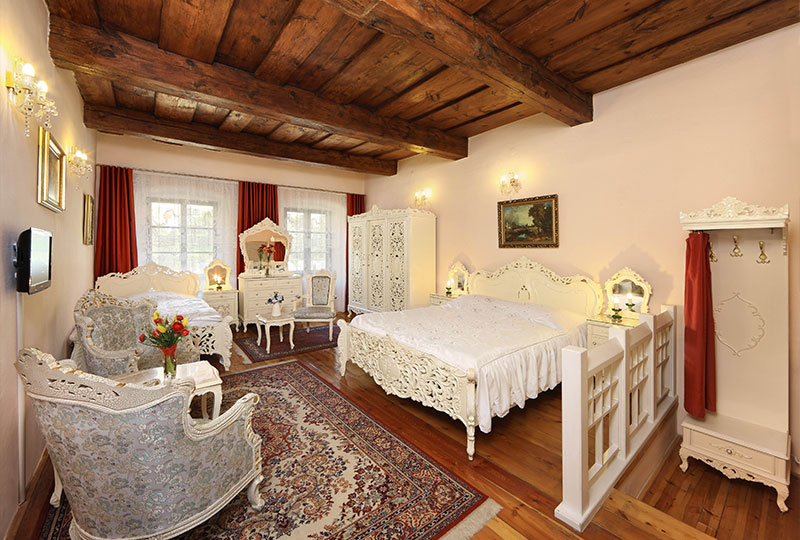 Three of five rooms are oriented towards the castle, offering a really beautiful and romantic view. 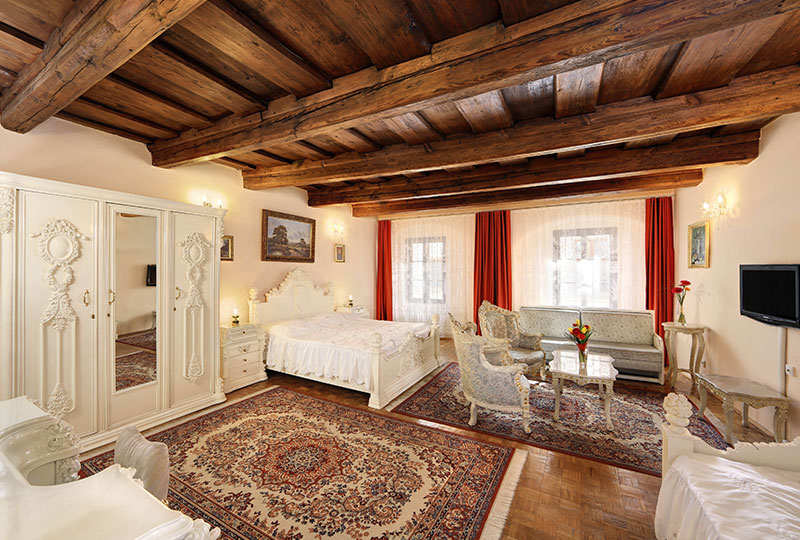 The rest two rooms have a peaceful view towards the picturesque ancient street. Český Krumlov, which historic center is listed at UNESCO world cultural heritage list, offers a high variety of cultural events, such as five-petalled rose celebrations or famous music festival. Worth visiting, as well, are Eggenberg brewery, Egon Schiele art centrum, Seidl photo atelier and, of course, theatrical performances on the famous revolving auditorium. Český Krumlov is an ancient city with a long, rich and sometimes mysterious history. It is not a surprise, because Krumlov hosted some mystics and alchemists, such as John Dee or Edward Kelly. And the building, where our restaurant is located, has its own history. 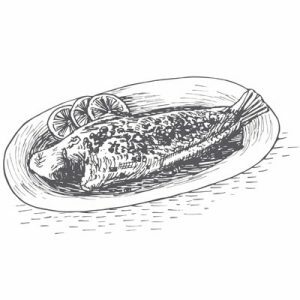 When the restaurant was preparing and the house was under reconstruction, things came mysterious from time to time: the door that opened itself, or an object that suddenly was not where it was. And the ubiquitous sense of terror, the presence of something that is not from our world. Can anything like this be related to the story that happens in this house in the old days? Right in the house where the restaurant resides, a long time ago a wedding took place. A young girl named Dorothea, at first glance, married more than well, for she was marrying the son of a wealthy burgher, a coppersmith, and even a councilor! Her parents were certainly satisfied, feeling that their daughter from now on had her life in comfort and well-being. Though, Dorothea was not happy, because this marriage wasn’t a marriage of love. In addition, she had to leave her hometown and move to distant České Budějovice. In the evening, the wedding ended, and the newlyweds entered the wedding carriage. Dorothea felt despair, although her new husband felt satisfaction. The husband’s parents went to the bedroom and were going to sleep. With the twinkling of the clock tower, which they announced at midnight, the door of their bedroom had flown and for a moment the room was illuminated by white light. They both saw him, but so far they had been relieved by the fact that they seemed to have something. However, when Dorothea visited her mother in the dream, she read her coercion at her wedding without love and said that in the morning she would not be alive, the parents began to suspect that something bad would happen. When the postman rang in the morning at the door, they knew well, what message he was carrying. The newlyweds were found death under a crashed carriage. Was it a real end for Dorothea? Is it possible that she stayed somewhere between our world and the world of the deceased? Can she be responsible for all the strange phenomena that happen occasionally in the house?